Stay connected. NPR and public radio stations thrive on a special connection with their audience. Public radio thrives on the special connection between NPR, local Member Stations and listeners and readers like you. Be in the know and stay connected, beyond online and on-air, with NPR Events, newsletters, behind-the-scenes updates and tours of NPR's headquarters. 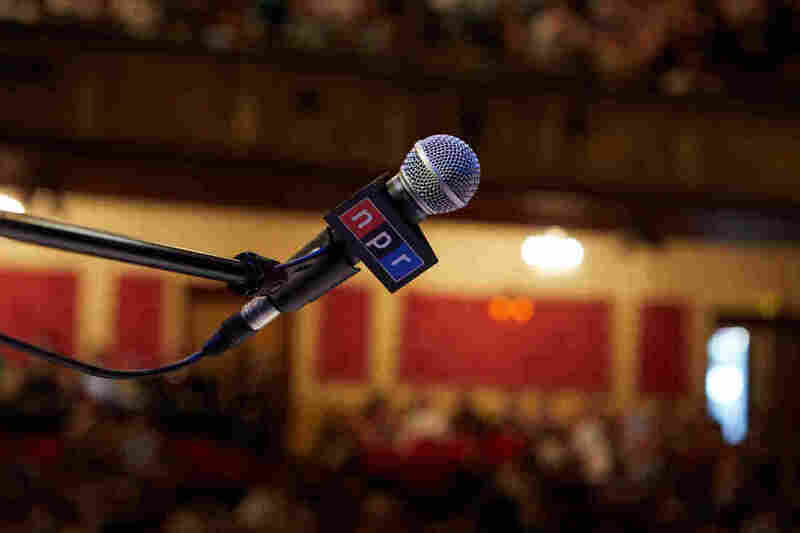 NPR Presents takes public radio out of the studio and into theaters and intimate spaces across America with entertaining, thought-provoking live events. From music, culture and comedy to in-depth conversations about the issues and ideas affecting our lives every day, we invite you to get closer to the shows and hosts you love, and experience NPR like never before. Visit NPR's Washington, DC headquarters for a unique behind-the-scenes experience. Catch a glimpse of a busy newsroom in action, step inside one of the studios where your favorite news programs are produced, and learn about the past and present of NPR. Public tours are available weekdays, and private tours can be arranged for larger groups. The NPR stories you want, delivered to your inbox. Keep yourself in the know with the latest news and get alerted to stories from your favorite NPR programs or topics of coverage. NPR's award-winning journalists, hosts, and executives enlighten and entertain audiences by delivering keynotes, moderating panels, and engaging in other forms of public speaking.